Planning your company’s corporate parties can be a stressful endeavor. At Continental Tavern, we strive to make any kind of party planning easier for you! We’ve been hosting private parties in Yardley, PA for decades and we know exactly what to do and what to serve to give your guests a night to remember. When you host a party with us, all you have to do is tell us what kind of a night you’d like and we will do the rest of the work! 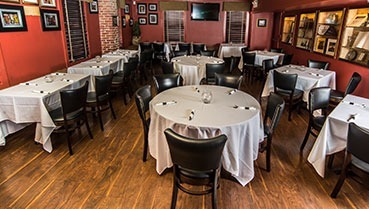 If your company is looking for their next venue for corporate events or corporate meetings, make your boss happy and suggest Continental Tavern! Our food and drinks will make all your coworkers happy and satisfied. Whether you plan to serve lunch or dinner for your corporate event, we will create the perfect menu for you! Our facilities are also a great place to host a bridal shower, baby shower, or birthday party! We have plenty of space to accommodate all of your guests and are happy to work with you to create the right environment and setting for your gathering. We can recommend vendors for decorations and flowers too! If you have an upcoming wedding, consider having your rehearsal dinner at our restaurant! Our beautiful décor and historic location make this the perfect spot to host all of your out of town guests for lunch or dinner! We also host first communion celebrations and funeral luncheons. To check our availability and to learn more about our private party menus, get in touch with us now!